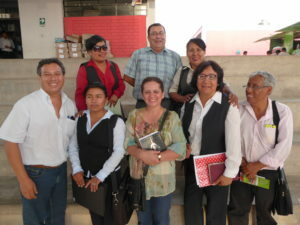 Violence in Peruvian schools is becoming a growing concern for government and educational actors alike, as violence remains a key barrier to the realisation of a child’s right to a safe and effective education. In partnership with local organisation, Centro de Educación, Organización y Promoción del Desarrollo de Ilo (Centre for Education, Organisation and the Promotion of Development, Ilo), Mary MacKillop Today aims to promote safe environments for children in schools and in the home through the 3-year School Peace Program. The program is designed to strengthen the capacity of school communities to manage, respond to, and ultimately prevent violence in schools, while educating families and the broader community about the importance of peaceful conflict resolution. Establish and train student-led School Peace Committees in non-violent conflict resolution, mediation strategies and community advocacy skills. Build the capacity of student and staff leaders to develop School Peace Plans consisting of guidelines and strategies for the prevention and management of violence in schools. Conduct school-wide awareness raising campaign targeting violence, led by student-leaders and staff representatives, for students, teachers and parents. Over 350 students will have been trained as student mediators, and will be involved in designing and implementing activities to promote peace in their schools. Over 4,600 students across 6 schools will be engaged through advocacy activities. Over 300 teachers will be trained as mentors, to support and continue the work of the student mediators in promoting peace at school and in the broader community. Over 2100 parents will be engaged through school and community-based awareness activities, combatting family violence and promoting safe learning environments for children in the home. Norma is a teacher at a school in Moquegua, Peru. Like many of her colleagues, Norma had seen many students affected by violence both at school and in their homes. Yet, for a long time Norma felt as though there was little she could do. 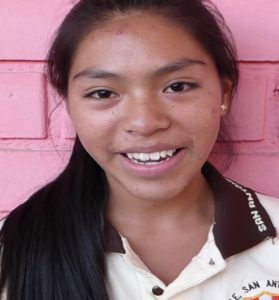 Since becoming a mentor in the School Peace Program last July, however, Norma has learnt that this violence doesn’t have to be part of life in Moquegua. Through this program, Norma has learnt a lot about how she can be a strong role model to her students. Most importantly for Norma, the teachers have learnt to empower their students to be leaders in their school community. Pray: Pray for peace, healing and unity in our troubled world. Act: Leave a gift in your Will to continue the legacy of Mary MacKillop across the world.